Imagine driving a manual car without knowing how to use gears. What a mess! It’s the same with your brain. Learning is easier if you know your brain gears. I enjoy watching my husband Carl cooking a new dish. For me, cooking is a major challenge. I never know the right point of anything. Is the dough thick enough? Is it too thick? Should I put more of this or that? It’s frustrating. With Carl everything works fine. In the end, it seems like we had an earthquake in the kitchen, but the food comes out great. Carl is certainly more talented than I am in the kitchen. But I notice something else that impacts the final result: Carl knows how the food works. He knows, for example, how this ingredient reacts with that one, or what the optimal temperature for that mixture is. So he can adjust the recipe to his taste. Knowing how things work makes a huge difference in the results you get. Imagine driving a manual car without knowing when to use each gear. What a mess! It’s the same with our brain. 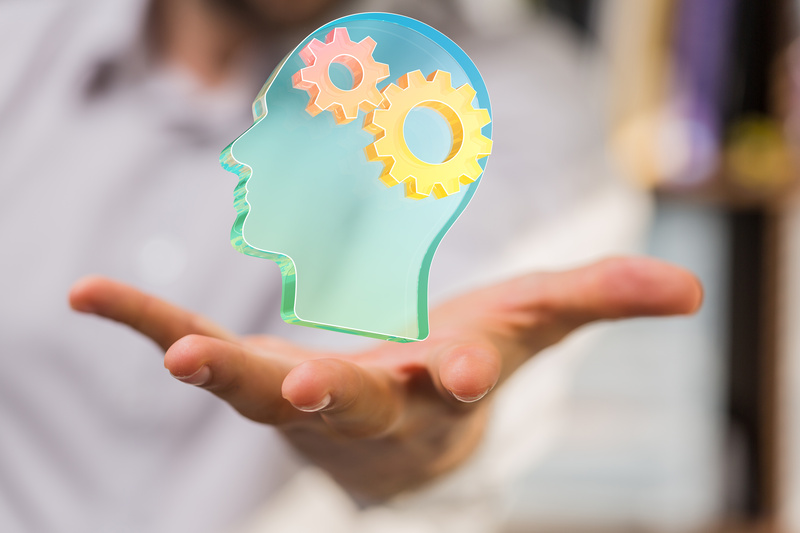 We can learn better and easier when we know the basics about how our brain learns. Unfortunately, we do not learn this in school. We have two basic modes of thinking and learning: the focused mode and the diffuse mode. Knowing how they work and when to use each one will help you learn easier. It is easy to understand the focused mode. When you’re racking your brain over a problem or concentrating on something intently, you are operating in the focused mode. But you already knew this, right? When you’re racking your brain over a problem or concentrating on something intently, you are operating in the focused mode. 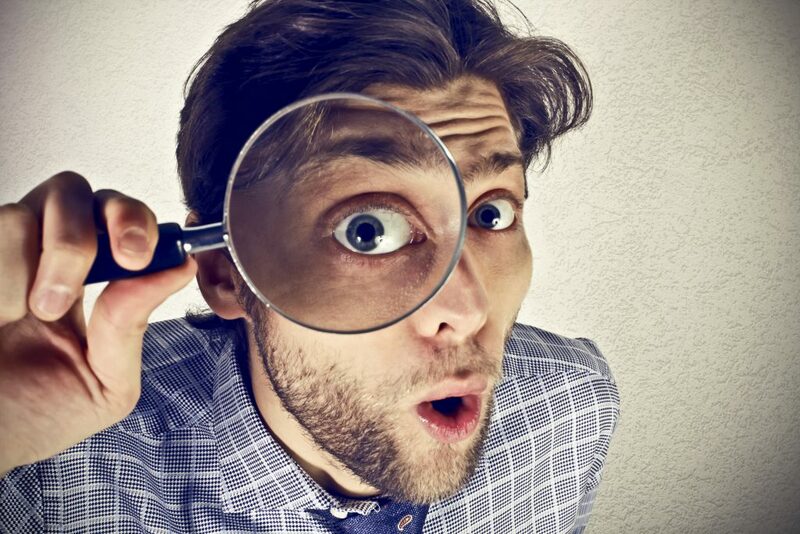 Focusing intently on what you are learning is not the only way to learn. When you look at the big picture and put things into context, you are operating in the diffuse mode. When you relax, your brain is also working in the diffuse mode. It is this mode that allows ideas and knowledge to move freely in your brain. 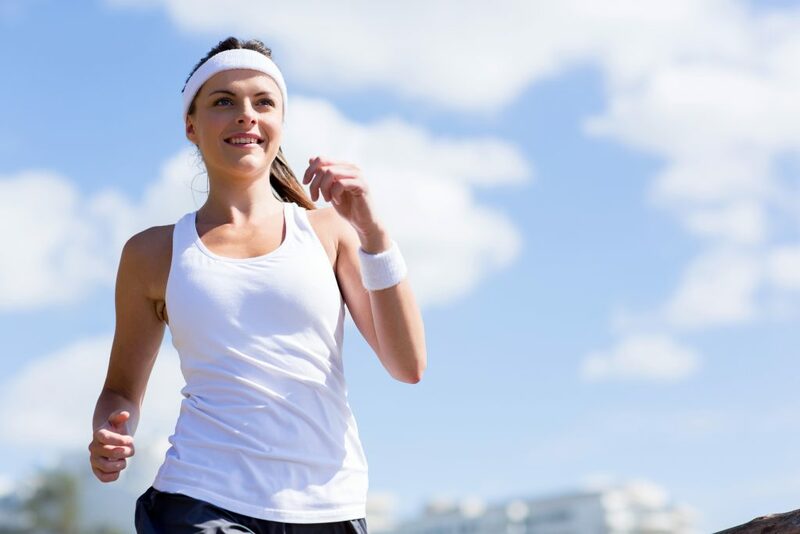 When you relax or exercise, your brain is working in the diffuse mode. This is when ideas and knowledge move freely in your brain and you create great solutions. Because it is in the diffuse mode that you make new connections, think of creative ideas, and find new ways of looking at a problem. The diffuse mode gives us flexibility and creativity. João works in a company that occupies several floors of a business building. João is very focused and always thinking about his work. Every day he rides the subway to his office without noticing what is going on around him because he is deep in thought about his work. When he gets to the building, João goes straight to his office to dive into work. João lives in focused mode. Every day he becomes more competent at what he does because he lives focused on his tasks and digs deep to strengthen his area of ​​expertise. Antônio works with João. He behaves very differently. Antônio talks with people in the subway and has ended up learning a lot about different markets and how other companies are dealing with new technologies and challenges. Antônio chats with people from other companies who work in the same building as he does. In his own company, Antônio has established good relationships with several co-workers from different departments. Therefore he knows what they are doing and how they are dealing with new challenges and opportunities. Antônio is operating in diffuse mode. He is able to generate new solutions because he can see the big picture and connect information from various fields. Now imagine that João and Antônio are facing a new and complex challenge in their department. Who is better equipped to find a solution? João is an expert in his field. If the problem can be solved within his area, João is in good shape to find a solution. On the other hand, if the problem requires new approaches, innovative solutions, and information from other fields, Antônio will probably find it easier to envision a solution. He can look at the problem from a more general perspective. We all have João and Antônio cohabiting in our brain. Sometimes we learn in focused mode and sometimes we think in diffuse mode. We need both. But we cannot work in both modes simultaneously. It’s like driving a manual car. You cannot use two gears simultaneously. It is possible to drive up a steep street in the third gear, but it is not the best way to get up there. The car will work harder and you may even get stuck in the middle of the street. Your journey is much easier when you use the right gear at the right time. Your brain has two gears. Use them intentionally and at the right times to learn easier and better. Thomas Edison, one of the greatest inventors in history, intentionally alternated focused mode and diffuse mode. Edison’s work often required intense concentration on a new invention or on finding a solution to a problem. After racking his brain for a while on the problem (focused mode), Thomas Edison would take a break. He would sit in a chair to relax, often by his desk or blackboard with notes (diffuse mode). Edison was intentionally engaging the diffuse gear. But here’s the secret of success: he had a strategy to help the diffuse and focused modes work together. Thomas Edison would sit with his arms hanging sideways holding metal rings in his hands. As he was falling asleep – you know that nice power nap? – the rings would fall on the floor and the noise would wake him up. He would then return promptly to his focused work in order to use the ideas that had appeared during the state of relaxation. Salvador Dali did the same thing when he was creating a new painting. That is why we often have that moment of “Eureka!” when we are in the shower or playing volleyball on the beach (yes, I am from Brazil). We are relaxed, but deep down our brain continues to create associations and generate ideas to solve the problems we have been working on. 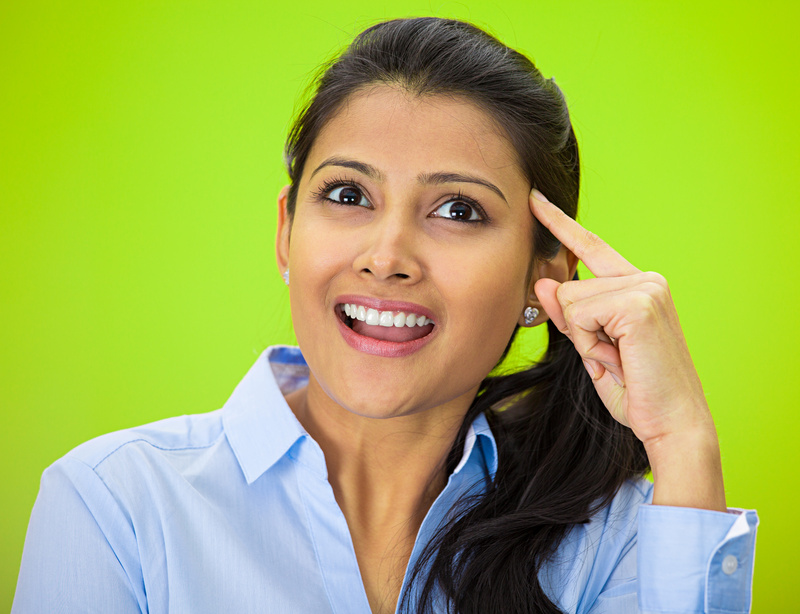 In short, your brain has two basic gears: focused thinking and diffuse thinking. These alternate moments between focus and relaxation contribute to learning more easily and efficiently. So remember to take breaks. After all, who doesn’t want to be smarter every day? Alternate moments of focus and relaxation to learn more easily and efficiently. Remember to take breaks! How Are You Going to Use This in Your Language Learning? You need to use both the focused and diffuse learning modes in order to learn something new, especially if it is difficult. I invite you to think about how you can apply these two learning modes to your Portuguese learning. What can you do when you get stuck with a new grammar structure? How can you help yourself use focused and diffuse learning to be more effective at speaking Portuguese comfortably? Make a game plan with your instructor and share it with us here. I’d love to hear from you! 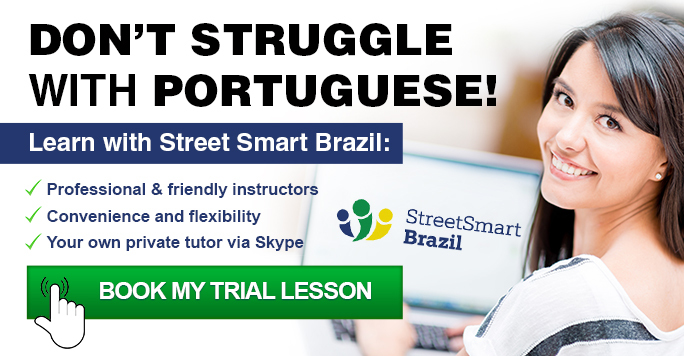 Street Smart Brazil specializes in Brazilian Portuguese lessons through Skype. It is a simple, convenient, and effective way to learn Portuguese. Book a Trial Lesson with us and take your Portuguese to new heights.